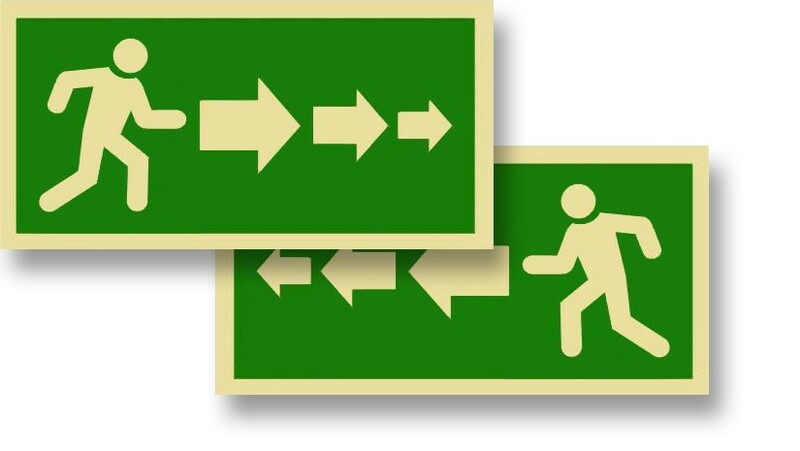 Semi-Rigid, 12" x 6", green exit person left or right sign. The photoluminescent layer is bonded with a semi-rigid substrate, incorporating a foam polyester tape adhesive. The long-lasting adhesive is suitable for either smooth or rougher surfaces like CMU (Concrete Masonry Unit) blocks. This substrate material minimizes surface imperfections on the sign.